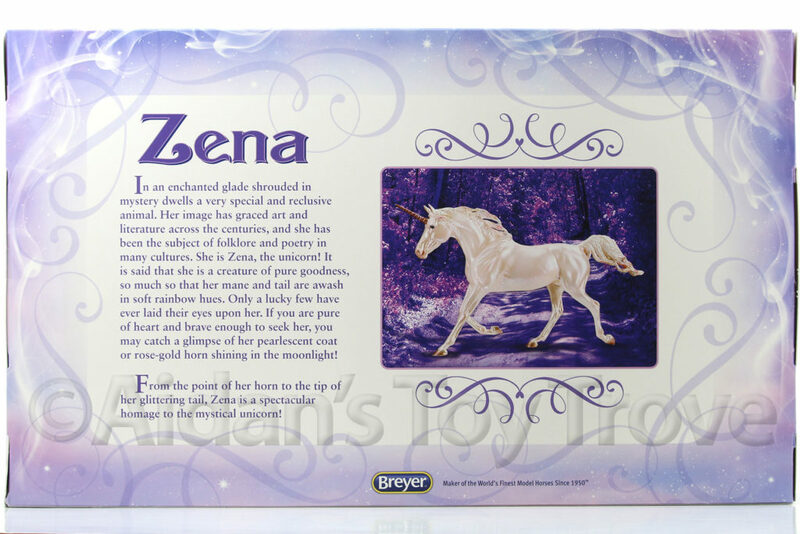 For Sale is a Traditional Scale New In Box (NIB) Breyer Zena 1790. This Mystical Unicorn Mare is the perfect compliment to last year’s Xavier. 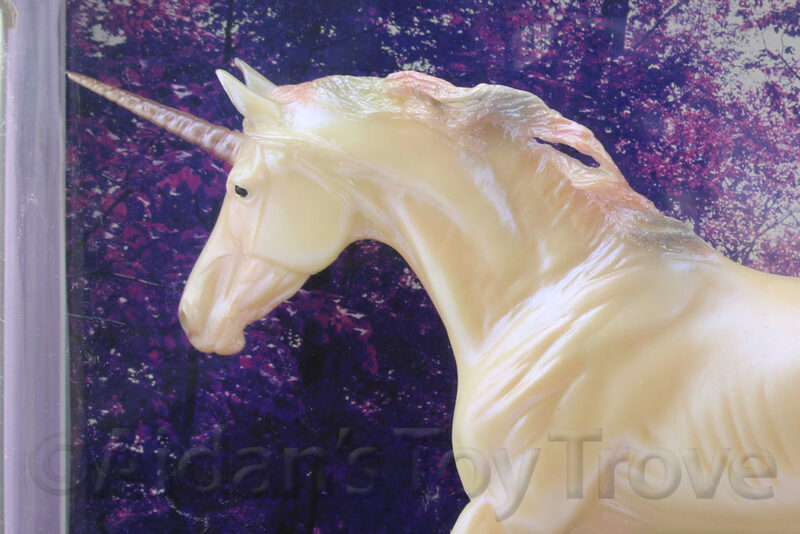 She is on the Shagya Arabian Mold and is painted in a beautiful iridescent glittering glow. Here is what Breyer has to say about Zena. From the tip of her horn to the end of her glittering tail, Zena is a spectacular homage to the mystical unicorn! 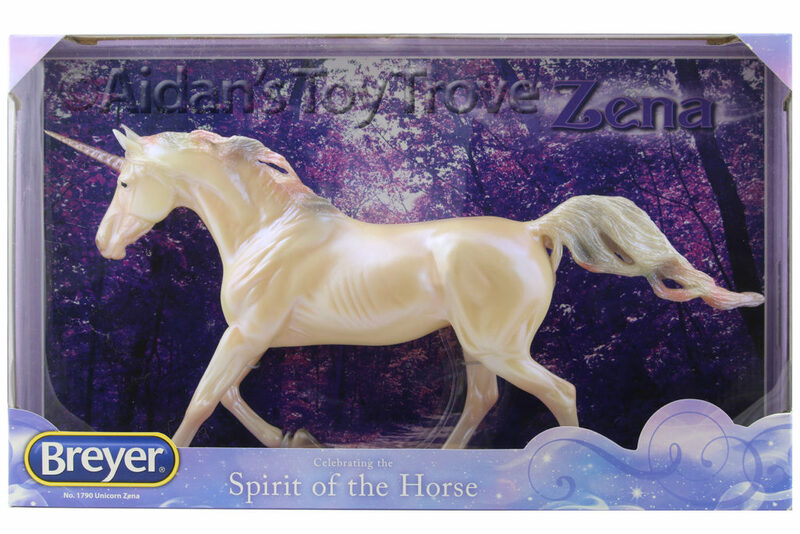 Breyer Zena 1790 is still sealed and tied in the original box. The box may have normal wear. I noted no flaws on the horse. She may have typical factory flaws. I cannot guarantee the condition of the boxed side. Please note that I have multiples of this model. You may not receive the exact horse pictured. 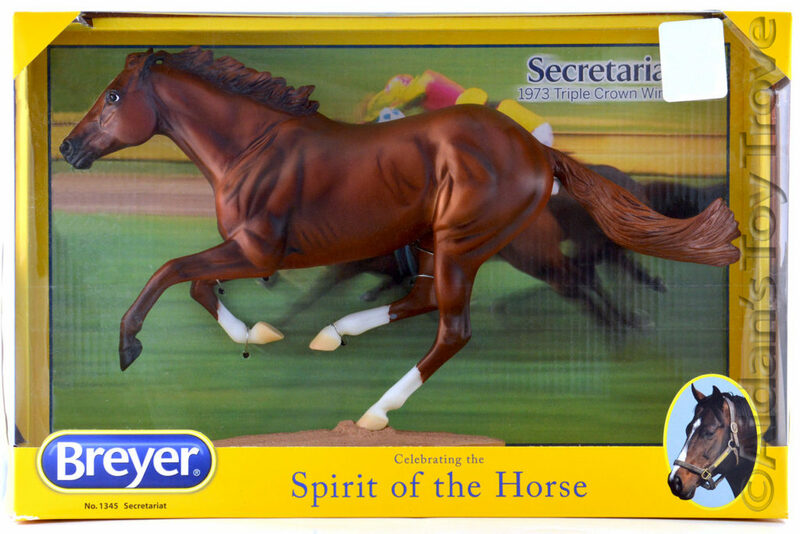 You will receive a brand new in box (NIB) Breyer Zena 1790.